We all experience tiredness sometimes. It comes in different forms. How do we stay fresh, energised and open to the world around us? For Christians the answer lies in prayer. It is tempting to think prayer is about talking to God, not least because church services tend to be quite wordy. Those who lead formal prayers regularly have to learn to express in words what we all want to say. It is not easy, and I am frequently impressed by the depth of spirituality that people bring to the task. However, it is important to realise that prayer does not start with asking God for things and is not about finding the right words. It begins with a movement of God towards us. The bridge is a great metaphor for prayer, a place of connection, a two-way movement that brings us back to what is essential. 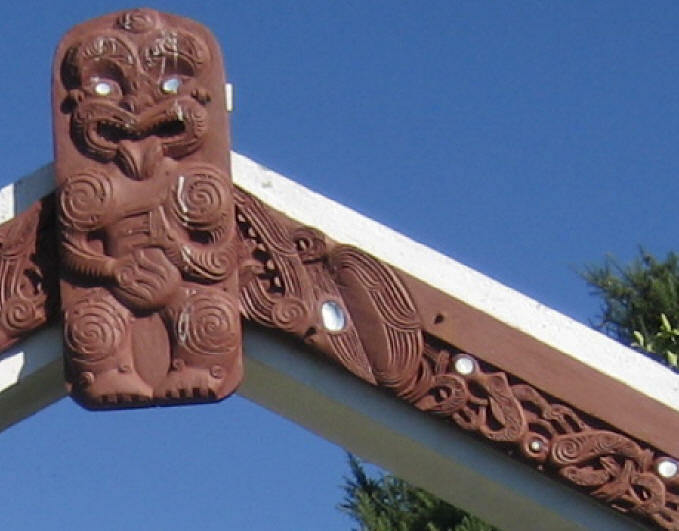 This particular bridge, with its images of life and activity (designed by students from Pittville and Dunalley Schools), reminds us that ‘Prayer leads us at one and the same time towards God and towards the world’ (Br Alois of Taizé, January 2012). And every human being can do it from birth, turning our hearts towards the source of life, growing in our awareness and ability to choose to walk this path. Although it may seem too obvious to say that prayer is what God seems to be doing in Prestbury at the moment, I will risk it. I have a sense that people are being prompted to give time to prayer: finding quiet places to be still; learning to put into simple words the desires of their hearts; rediscovering ancient prayers that have inspired people in the past; or finding new ways to pray that involve bodily movement, artwork and music. Have you been rediscovering prayer recently? If so it would be good to hear from you. The bridge that is prayer is, as I have said, open to two-way traffic. You never know where the voice of God may come from, but you will recognise it. His words always bring peace, hope, joy, encouragement, never condemnation or threat. It is he who meets us, as on that first Easter morning, and puts new life, new energy into us. Fr David’s last Sunday will be 8th April, which is Easter Sunday. Where have the past, almost four years, gone?! It has been a real joy to have been able to accompany Fr David on these first few years of his ordained ministry during which we have all seen him grow in confidence and in the skills with which God has blessed him. People across our Team Ministry will have reason to be thankful for the ministry which Fr David has shared with us in so many different ways, through his leading of worship and his excellent preaching, his pastoral care, his work amongst our young people and, during the past year, his leadership at St Nicolas’. All of this work has been done with Fr David’s natural enthusiasm, warmth, humour and sensitivity and, of course, supported all the way through by Sarah. There will be a ‘Farewell Tea Party’ in St Nicolas’ Hall from 3.30pm. This will be an opportunity for everyone from across the North Cheltenham Team Ministry to say ‘thank you’ and ‘farewell’ to Fr David and Sarah. During the afternoon, in addition to tea, there will be a time for presentations and (brief!) speeches. 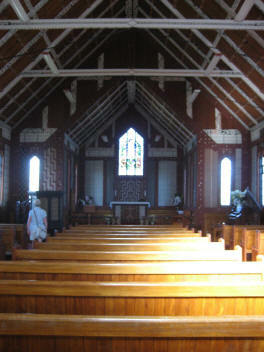 The afternoon will conclude with a short service of farewell and blessing. This will be the only evening service in Prestbury on that day but there will be time, if people wish, to attend Choral Evensong for Easter Day in either All Saints or St Lawrence at 6.30pm. At the meeting elections to the PCC take place. Nominations for PCC members will be displayed on the notice boards of both churches for at least the two Sundays prior to the meeting. Candidates should be on the electoral roll of the parish and must be proposed and seconded by a person who is also on the parish electoral roll, and they should also be asked if they are willing to stand! The Annual Meeting of Parishioners, which begins at 6.30pm, is a short meeting to elect Churchwardens: two for St Mary’s and two for St Nicolas’. 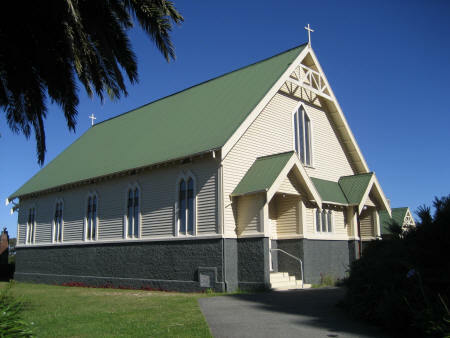 Candidates must be nominated and seconded before the meeting begins and nomination lists will also be displayed on the notice boards of both churches. Anyone resident in the parish or on the parish (church) electoral roll may attend the Annual Meeting of Parishioners and vote for churchwardens. Only those on the parish electoral roll may attend the APCM. 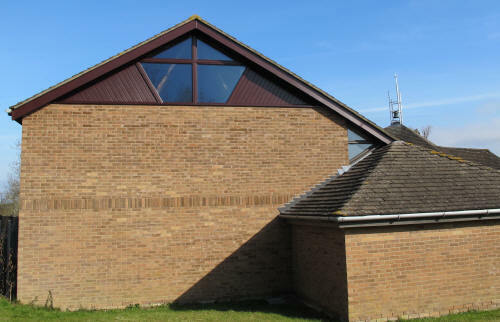 The Parochial Church Council (PCC) acts like the trustees of a charity, making important decisions about the running of the church throughout the year. For more information speak to Fr Daniel or any of the clergy. So, after more than thirteen years and one hundred and thirty magazines, this is my last as your Editor. I have enjoyed my conversations with you through these pages, developing the content of the magazine to reflect your interests and to promote the Christian message. I have also enjoyed the challenge of accommodating new technology, not least this fourth photocopier, which allows us such glorious colour photographs. But now it is time for new editors to have the opportunity to bring their own ideas and personalities to this publication. They will grow into their roles, and I know you will make them feel as welcome as you did me in 1998. Details of the new editorial team will be published as they are confirmed. For the time being, on a temporary basis, production of the magazine will be overseen by our parish webmaster, who has for the whole thirteen years willingly offered support when I needed help with any aspect of the magazine. All copy for the magazine should continue to be emailed to the designated address. If you do not have access to a computer, items can be sent in a clearly marked envelope to: Prestbury Parish Magazine, ℅ 2 Honeysuckle Close, Prestbury, GL52 5LN. This is an historic edition of the Prestbury Parish Magazine as it is the last edition under the editorship of Frances Murton! The words ‘thank you’ really seem inadequate as we try to express our gratitude to Frances for her dedication and hard work during her thirteen years as editor. Frances has made the magazine into a high quality, highly respected and enjoyable publication which not only conveys information about the life of our parish and beyond, but also speaks of the Gospel to those who read it. Many of us will have been ‘badgered’ by Frances to submit copy for the magazine and diligently reminded of deadlines: all part of Frances’ determination that the magazine should be as good as it possibly can be and the information in it as accurate as possible! 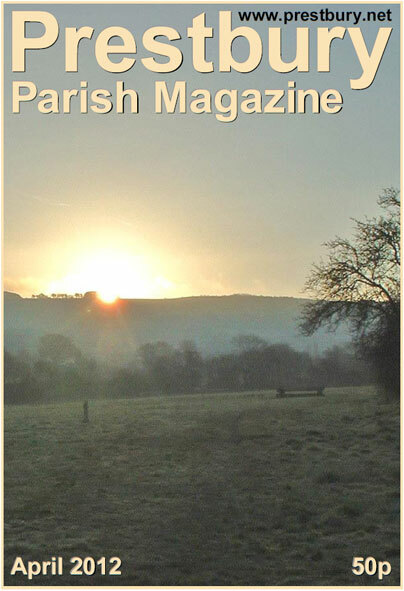 As a parish we should be rightly proud of our Parish Magazine, knowing that it is highly regarded in ‘parish magazine circles’ and we should be proud of all that Frances has achieved during her time as editor. We are grateful to the team who have volunteered to take on the monthly production of the magazine and we pray that God will bless them in all that they do and we pray that the Prestbury Parish Magazine will only continue to flourish. During the last few months a significant amount of essential maintenance work has been carried out on the trees in St Mary’s churchyard. This has included the removal of dead and dangerous branches from the large horse chestnut trees and reduction in the height of a number of the conifers. 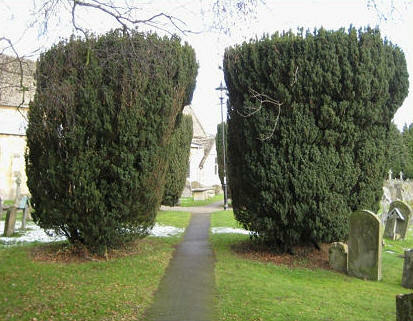 A major decision that faced the churchwardens was what to do about the large yew trees on the south side of the church as their girth had increased to such an extent that they were restricting the footpaths through the churchyard. Advice was sought from several arboricultural experts, and the unanimous opinion was that, in order to maintain the long-term health and appearance of the yew trees, they should be pollarded back to their trunks. This would allow them to regenerate with fresh new growth within two to three years. 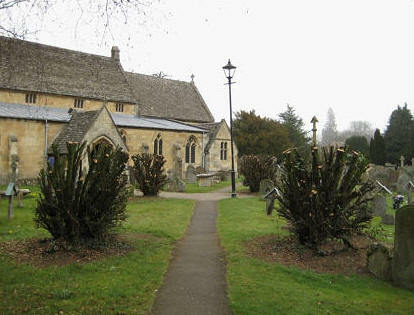 Similar yew tree pollarding has taken place in Painswick churchyard and Glenfall House, and successful new growth has occurred. Thanks are due to Margaret Holman for organising all the work and to Adrian Phillips and Cheltenham Tree Services for carrying out the work in an efficient manner. The rest of us can now watch and enjoy the regrowth of the yews over the next few years. It is almost one year since my first contribution to the Parish Magazine on this subject, and we have had the pleasure of some stunning flower arrangements in church during that time. We especially enjoyed a beautifully decorated church for the Patronal Festival last September, when the church also welcomed many visitors during the Historic Churches weekend, to see the informative displays about our local heritage. All the flowers are arranged by volunteers, who mostly provide and pay for their own flowers. However, the costs of extra flowers for special occasions and festivals are supplemented by St Mary’s Flower Fund. Recent accounts show that this fund is running very low, so it is time to appeal to you again to make a contribution to the fund, to ensure that the high standard of festival flowers can continue. Donations can be made to our treasurer, Margaret Waker, or via the collecting bowls in church which appear on the Sundays before the main festivals. Thank you very much. In previous years many people have sponsored an Easter Lily in memory of a loved one. This will be placed in one of the pedestal arrangements, and a card displayed alongside with names of those to be remembered during this Holy Season. If you would like to donate the cost of a lily, please put the money in one of the envelopes which will be provided, and write the name of the person you wish to remember on the display card. The meeting was held at St Nicolas’ Church on 28th February. There were twenty-five people present and thirteen apologies. Sheila Beer welcomed everyone and opened with a prayer. Margaret Waker gave her report as Treasurer and was concerned as there was a shortfall this year. Diane Singleton is now in charge of weddings, Sue Fairclough festivals, Joan Rushworth window sills and Becky Marks Mothering Sunday posies. There were two people retiring, two new members, Nick Roach and Lesley Clark, and Jean Johnson and Lynne Whitehead returning to be flower arrangers. For the Jubilee a decorated arch is to be put up at the entrance to the church and further plans are to be made later. The February meeting was held at St Silas in Hester’s Way Road. It was the first meeting for the Revd John Gann, who now represents the retired clergy of the deanery. * 23rd May: it is hoped church bells will ring between 6 and 7pm while the Olympic torch comes through the town. There is slight improvement in the financial situation. Parishes who have been able to increase their giving were thanked. The incumbents of St Mark, St Barnabas and St Aiden and St Silas reported on the several mission initiatives in their West Cheltenham Area. Use of the Renovare groups has helped introduce the Christian faith to local people in a meaningful way. So has the CPAS ‘Start’ course. Family Space is proving invaluable to some in the neighbourhood. Prayer is requested for that and for the appointment of an Anglican Chaplain for All Saints’ Academy. Liz Palin, and two helpers, spoke about the history, vision and key priorities of Glenfall House. The flexibility of the facilities available and the value of the hospitality and peace offered in the house, the smaller Pavilion and by the extensive grounds at Glenfall were outlined. Details at www.glenfallhouse.org, or if you prefer to speak to a real person, or would like to have a look round, do ring 583654. The next meeting is on 15th May at All Saints’ Academy. We are happy to report that some people have joined us at St Mary’s to learn bellringing. There are four people who are starting from scratch and who are progressing well with learning bell-handling skills. Another person learned at Prestbury as a teenager and has taken up ringing again as family commitments now permit this. We are pleased to have them ringing with us on Tuesday nights at practice and are grateful to David Lyle for encouraging them to come along in the first place. As soon as they are competent enough to handle a bell safely on their own without supervision they will be invited to ring on Sunday mornings for service which will greatly swell the numbers of bells we can ring on Sundays. Our Tower Captain David Lynch left us in December. At our recent Tower AGM we elected Sarah Collacott as the new Tower Captain. Sarah has been a member of the band for many years and has been involved with overseeing the recent teaching sessions. Our AGM was chaired by Fr Michael, our thanks to him for all the help and encouragement he has given us over the last year. We shall be involved with various special ringing events to mark both the Queen’s Diamond Jubilee and the Olympic celebrations, details nearer the time! After being rested last year the pilgrimage is back with a new look here and there and will take place on Saturday 16th June 2012 with ‘All for Jesus’ as its theme. The programme still looks familiar with the Solemn Mass of Jesus Christ, the Universal King, as the central act of worship for the day at 12.00 noon. For those who have missed it in recent years the afternoon procession has returned as the Procession of the Blessed Sacrament to the Abbey for Solemn Benediction. Admission to the Abbey grounds on the day is by service book, which will be available at the entrances, price £5.00. Service book vouchers may be ordered in advance for £4.00. Please let me know if you wish me to order vouchers for you. For children under 16 admission is free. More details can be seen on the pilgrimage website: www.glastonburypilgrimage.co.uk I hope that Glastonbury may welcome pilgrims from the North Cheltenham Team once again. The Memorial Trust has been hard at work and managed to qualify as one of the thirty groups selected for a share of a £15,000 prize in the ‘Wish Cash for your Community 2012’ competition organised by the Gloucestershire Echo. Each accepted group will receive a share of the prize fund, based on the total of coupons collected. The more coupons we collect the more cash the Trust will receive. These coupons started being printed in the Echo in March. The idea is to collect as many coupons as possible, and to encourage the people in our local community to do the same. Please look out for notices identifying our collection points where these coupons can be donated. In 2002 the Echo organised a similar competition with the first prize being a minibus. Our then lunch club organiser, Ann James, somehow managed to motivate Prestbury into collecting tokens so successfully that we won the minibus. It was quite a coup for the Trust! You will see the said white minibus providing our transport needs around Prestbury. The Trust depends almost entirely on donations and fund-raising to run all our activities. An opportunity like this is just too good to miss! I wonder if you know how many collectors we need to cover the St Mary’s part of the parish. In order that each round is manageable, one session delivering envelopes and two to three sessions collecting, we need about 100 volunteers! Each year we have to recruit for various reasons so please think ahead and ask yourself: ‘If I’m not already a collector, why not? Could I become one?’ At St Nicolas’ we also need new volunteers as inevitably some people are no longer able to help. It may seem a long way ahead but it will soon be here. If you feel able to help, please contact one of us, details below. ‘The enjoyment of the quiz evening is not about winning but about taking part.’ This was our motto as we embarked on our first ever church quiz and we were not disappointed. We had decided to go because we wanted to support the evening to help raise funds for the Jubilee Event; however, we knew our chances of surviving were nil. Since we never go to the cinema, do not watch any Soaps or popular TV programmes, have no idea of sport or popular music that rules out a large number of possible questions. Since Hazel and John were in a similar position we joined forces! We were aiming for a certain prize. The evening was great fun and we all enjoyed it. There were many questions we could not answer but we could do the scripture ones, the maths and science. We even succeeded with some of the picture ones. In the end we were not disappointed and came away with a very useful kitchen implement, it was just as well we had not won the first prize as it was chocolates and we have given them up for Lent! We hope this might encourage others not to worry about their capabilities; we had fun, relaxed and had a good laugh. On a clear cold day in February a job that had been outstanding for a long while was finally completed. For years the SW gable-end window had been leaking and then during decoration five years ago considerable rot was noted in the window frame, the gable cladding and the eaves. Because we were waiting for that end of the hall to stabilize after removing the trees and scrub that had caused subsidence, the window problem was put on hold. Once no more movement in the walls was detectable and the cracks had been filled, attention turned to the windows. Close inspection last summer revealed that the SW window was in danger of being blown in by high wind so it had to be secured by partially boarding it up. Inspection of the NE gable end showed that rot was starting to eat into the sill and frame at that end so quotations were sought for the replacement of both gable end windows and the associated woodwork with μPVC material and double glazed units. Following a consultation process dealing with improvements to the hall in general, the window work was given priority, moved through the various committee stages for final approval by the PCC and we are now blessed with water-tight and maintenance-free gable ends. Would you like to join a friendly group for exercise? We do Aerobics, Stretching, etc. between 8 and 9 pm. on Wednesday nights, cost just £4. Please come along to St Nicolas’ Church Hall, Swindon Lane, and we will make you most welcome. Just bring yourself and wear trainers and bring a mat for floor work. Since my visit last summer and following your generous help in setting up an ophthalmic unit at St Luke’s Hospital I have sent another large box of spectacles in the container organised by the Diocese of Birmingham. Also thanks to your contribution following Richard Barton’s talk in January and donations from a three-month sponsorship at Tewkesbury Abbey I have been able to acquire medical items requested by a small local hospital at Nkope. These are also on their way and should reach their destination by June. 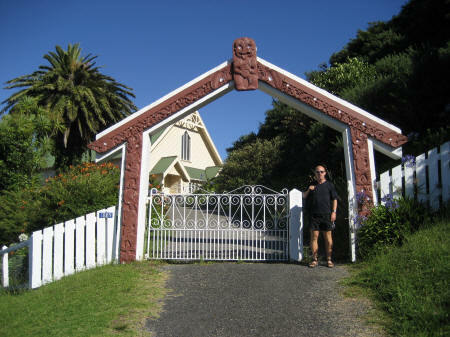 WE spent Christmas 2011 with our son Andrew who now lives and works in Wellington, New Zealand. After Christmas we spent three days cycling the Central Otago Rail Trail (150km) then travelled around in a slightly more leisurely fashion in a hire car. We discovered the sparsely populated East Cape region on North Island and couldn’t resist taking photos of St Mary’s church in Tikitiki. 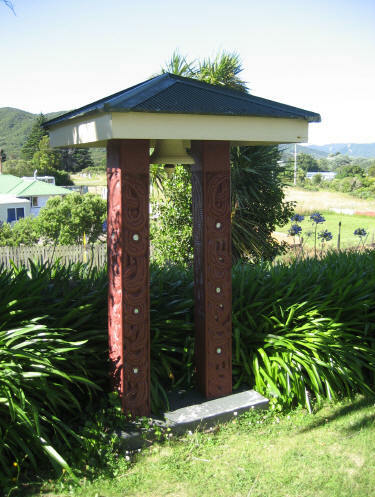 Built in 1924 by Ngati Porou, a Maori leader, and decorated by Maori carvers from Rotorua, it stands as a memorial to Maori soldiers who died in the 1st World War. Prestbury Mothers’ Union ‘Wave of Prayer’ is at St Mary’s Church from 8-9am on Thursday 12th April. Our next meeting is on Tuesday 24th April at St Nicolas’ Church at 7.30pm. Our speaker this month will be Mrs Kay Hensley who will share with us ‘Faith and Policy’. Everyone is most welcome at both these events. The work to restore the damaged War Memorial is due to be completed very soon and, in conjunction with Prestbury Parish Council, we have arranged for the Bishop of Tewkesbury to rededicate the War Memorial on Saturday 14th April. 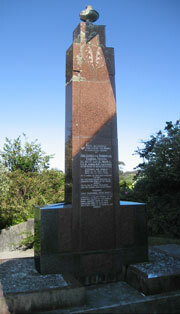 This is close to the date on which the original memorial was dedicated. The service will take place at the War Memorial at 3pm. The proceeds of our next bakestall on Sunday 15th April, provided by the G-M team, will be sent to Y Care International in response to an emergency appeal from Terry Waite on behalf of the street children in Phnom Penh, Cambodia. 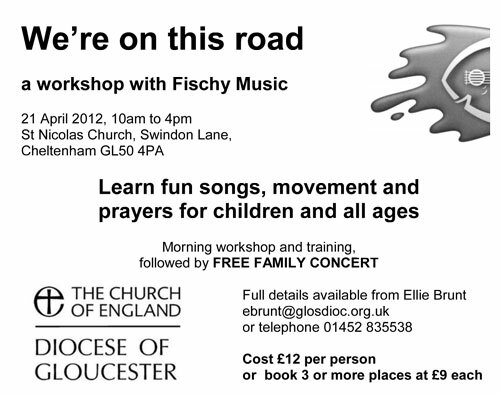 Wednesday 18th April 10.30am onwards at Windrush, Swindon Lane. A coffee morning to raise funds for our Jubilee Celebrations. 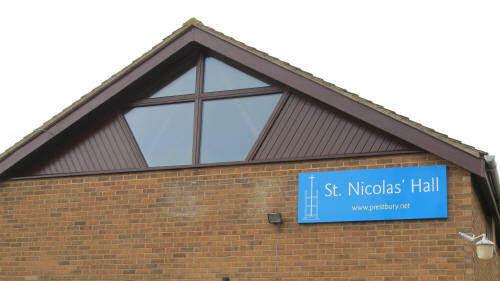 The Annual General Meeting of PPY will be held on Sunday 29th April at St Nicolas’ Church 6-8pm. PPY is the registered charity which runs the youth work on behalf of the North Cheltenham Team Ministry. Come and find out what has been happening over the past year and our plans for the future. The evening will include worship, a presentation by the young people and refreshments. Everybody welcome. Fr David will be licensed as Team Vicar at the church of St Matthias in the Richmond Team Ministry on Monday 30th April at 8.00pm (please note the revised time). Arrangements are being made for a coach to take people to the service, leaving St Nicolas’ at 4pm, returning around 1.00am. The cost will be £10 per person. Please give your name to one of the churchwardens or to the Team Office if you would like a seat on the coach. As St Nicolas’ is presenting a Flower Festival during the Jubilee weekend, St Mary’s will be open and looking its best during the festivities, of course, and presenting a display of Coronation, Jubilee and Royal memorabilia showing events in Prestbury over the last fifty years. Please let us know if you have any old photos; we would take copies and let you have them back straight away. 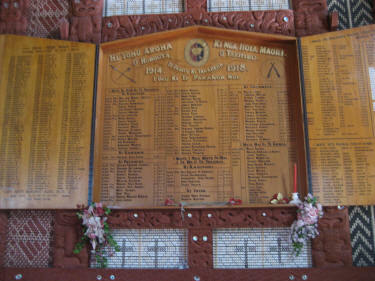 Artefacts and accounts of your memories would also be very welcome. Please contact Lynda Hodges or Michael Cole. On the day, all visitors to the church will be offered refreshment, and donations of cakes or an hour of your time to help or both will be much appreciated. If you can help, please contact Diane Singleton. This charity event will be held on Sunday 3rd June at Newlands Park, Southam, by The Rotary Club of Cheltenham in association with Cheltenham Rugby Club. The big event will be a Decathlon, and individuals over age 18 are invited to register to come and take part in ten events during the day, such as football shootout, long jump, target golf, welly throwing, skittles etc. It will be a Family Fun Day, with BBQ and refreshments, many stalls and attractions, and a chance to watch and cheer on the athletes. This will be a sponsored event and all proceeds will be shared between Teenage Cancer Trust, Life Education Trust caravans for schools, Shelterbox and other Rotary charities. Fr Paul reaches the fiftieth anniversary of his ordination to the priesthood on Sunday 17th June. He has asked to celebrate the occasion with a Sung Eucharist at St Nicolas’ and this will be followed by a lunch. The plans are to begin the service at 10.30am and make this the main service in North Cheltenham on that day. There will be no service at 11.00am in St Mary’s, although the 8am Said Eucharist and 9.30am Celebrate! will take place as usual. This will also be our opportunity to thank Fr Paul for his ministry amongst us over nearly ten years as he will be retiring from his post as House for Duty priest in the North Cheltenham Team Ministry. Please put this very important date in your diaries and watch out for more details of the arrangements nearer the time. Deacon Liz will be ordained priest by the Bishop of Gloucester in the Cathedral on Saturday 30th June at 4.30pm. Nearer the time we will give details of a coach to take people to the Cathedral and we will also need to have some idea of the number of people who wish to attend – all are welcome! On Sunday 1st July Liz will preside at the Eucharist for the first time. This service will take place in St Mary’s at 11am and will be an opportunity for people from across the North Cheltenham Team Ministry to join with Liz and her family and friends for this special celebration. 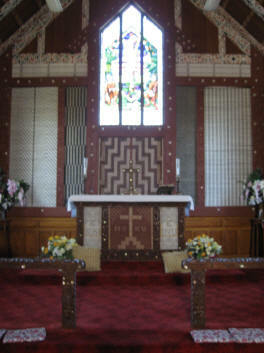 After the service, the plan is to meet together for a celebratory picnic – more details nearer the time. There will not be a service in St Nicolas at 9.30am on that day but there will be a Said Eucharist at 8am. There is a vacancy to serve at deanery (ie town-wide) level for someone who has had experience as a PCC or charity treasurer. The present incumbent, John Highley, is very happy to answer questions as is the Area Dean, the Revd Dr Tudor Griffiths. Please contact Fr Daniel in the first instance and he will pass your enquiry on. No temptation has seized you except what is common to mankind. And God is faithful; he will not let you be tempted beyond what you can bear. But when you are tempted, he will also provide a way out so that you can stand up under it. Temptation is a normal part of the divinely created human condition. Experiencing temptation is definitely not something to feel guilty about. Giving in to it is something different, but the joy of this verse is that God promises this need not take place. I am not saying that God sends temptation as a test for us, because I hold strongly that is untrue. Rather temptation is simply something that happens and God does not necessarily prevent it. However, having allowed us to have the experience, God may well use that as a means to develop or strengthen our faith. How we deal with temptation and the choices it presents is where the difficulties begin. We have excellent examples to learn from such as Joseph who, when refusing to be seduced by the wife of Potiphar, one of Pharaoh’s officials, ended up incarcerated for not yielding to temptation and yet this led to him being made responsible for all that was done in the prison. As a teenager, and young in my Christian faith, I found this a tremendously encouraging verse, thinking in the engagingly black and white manner of youth that God had it all sorted and he would not allow me to be pushed further than I could withstand. Looking at it now, I have had more experience of life, and shades of grey in my Christian life, but I still find it a reassuring promise. If we think on the nature of God – he is faithful – utterly, completely, totally – to the point of the ultimate Easter-tide self-sacrifice. Putting it in context this verse is in the first of St Paul’s two New Testament letters to the young Christian church at Corinth. Set, as it was, on the narrow isthmus connecting Greece with the Peloponnese this Roman colony was in a highly strategic position for commerce and communications. Paul had been based in the city for more than eighteen months during his second missionary journey. The Corinthian church was made up mostly of Gentiles and ex-pagans, with only a few Jews. These believers lacked a typically Jewish understanding of the Old Testament and the idea of purity would have been a novelty to them in this place which was famed for a notorious sexual licence. Earlier in this letter Paul draws parallels between the spiritual and physical diversions available in Corinth and those experienced by the wandering Israelites fleeing from Egypt. In Corinth food and drink to excess, pagan revelling, idolatry and sexual immorality are everyday events. In the Wilderness the Israelites grumble to God about lack of food and drink. Rebellion against God, as displayed by the Israelites invokes divine judgement. Giving in to temptation is rebellion but in God’s mercy he will provide us with a way out. For the Israelites this way out came in the form of drinking water and later manna and quail. Don’t you find that so often in the hands of our loving God the solution is better than we could have imagined?